This past Saturday started off as a lazy sort of day. We played around the house, had a nice long nap and once we woke up, I decided it would be a nice day to treat Ruby for ice cream! 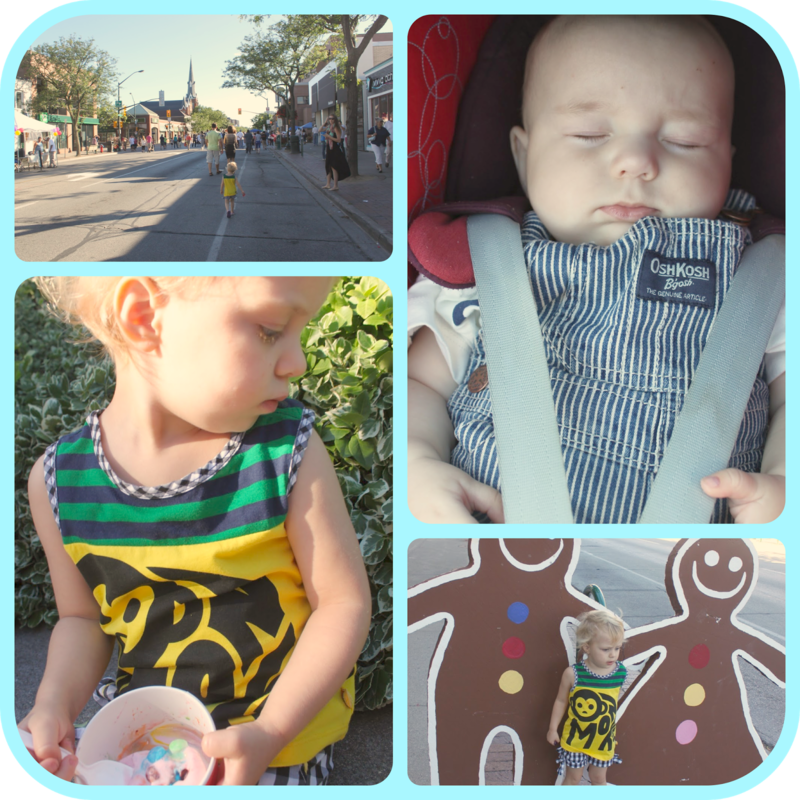 We drove down to Oakville (downtown) unaware of the Jazz Fest going on! I was so happy when we got there and saw the streets bustling with people and music playing on every corner! Ruby was super happy too (she is a huge music lover). First we grabbed our ice cream (as promised to her). Marble Slab was our pick! She had strawberry and banana mixed in with M&M’s! We then headed over to the big stage set up near the library! Ruby adored “Shyann” we would have stayed to watch the whole set…but paranoid me was worried it was too loud of Nate’s little ears! So we mosied on down the street to window shop and check out more acts! Ruby found the “Fine Grind” act very entertaining and kept whispering in my ear how she wanted to get closer to the band! What a groupie, just like her Mommy was back in the day haha! 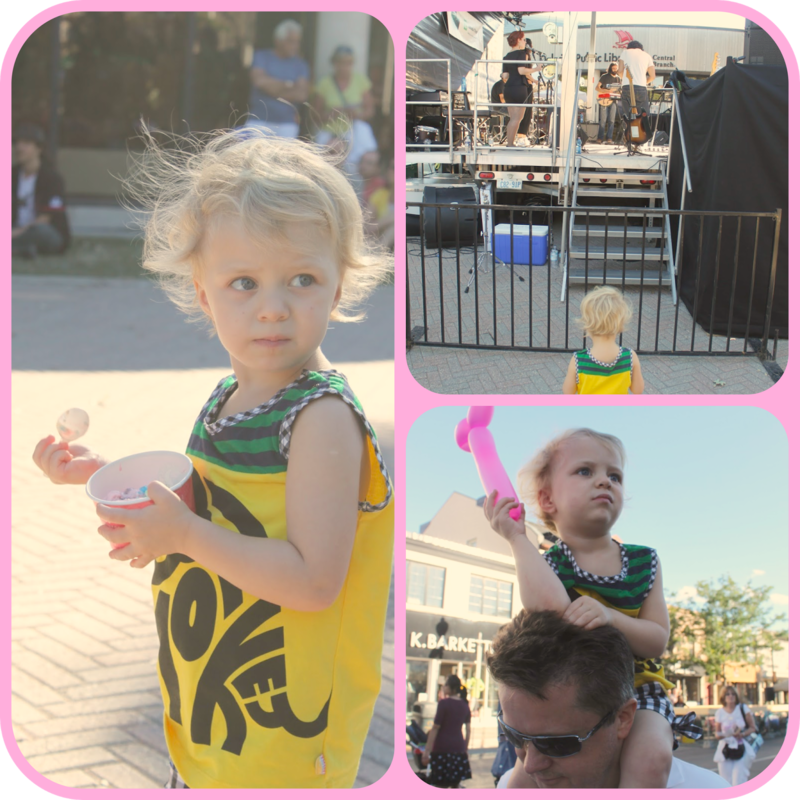 The Oakville Jazz Festival is in it’s 20th year! It is the leading jazz festival in the Greater Toronto Area! Check out the link below if you are in Canada (or planning to visit next year)!